Masterveil Europe delivers thermal air curtains that separate different spaces with differing temperatures. A technology that not only saves energy (and thus also cents), but is furthermore hygienic and offers comfort (no physical barrier anymore between the different spaces). Ideal for cold storage and freezer rooms, logistical applications, retail, and entrances to supermarkets and shopping centres. In its search for invisible doors, Colruyt examines the market and discovers what Masterveil Europe can mean for its retail. 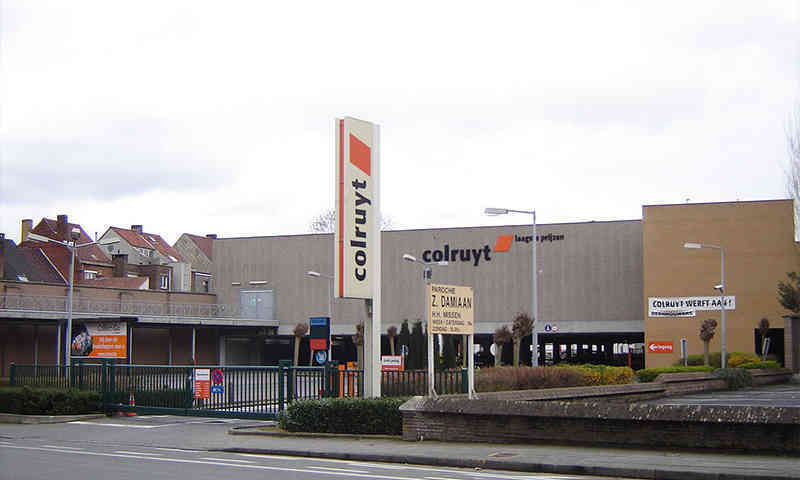 In 2014, it signs a contract with this technology player for supplying its stores (Colruyt , Cru, …) with thermal curtains. Efficiency combined with tailor-made work are high on the wish list of Colruyt. Colruyt considers efficiency to be very important. Striving towards as much efficiency as possible is necessary for guaranteeing low costs and thus also low prices. Striving towards efficiency also leads to simplicity. The group wants to offer added value to its customers, employees, and suppliers in a qualitative way. Not only in terms of economy, but also of sustainability and the society, Colruyt wants to make a meaningful contribution. Sustainability is in the DNA of Colruyt. Thermal curtains (or invisible air doors) contribute to it. The invisible separation between the various temperature and odour zones establishes the ideal store climate for the customer as well as the products. The curtain keeps the cold air in the cold storage space. An optimal separation between the temperature at the store and that of the cold storage room furthermore ensures an optimal passage, which considerably increases store comfort for both customers and employees. Simple, efficient and economic: these are the air curtains of Masterveil Europe.